The true cost of a poor sales message can never be truly quantified. But bear in mind that in business, you are never really speaking to one person. You are speaking to one person who forms part of numerous professional and personal circles. A poor sales message prohibits any referral, recommendation or even remembering your offering and sharing with this wider audience. 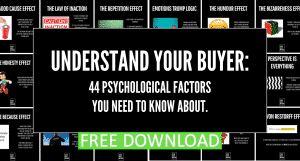 You will fail to convert sales and never tap into the networks of the potential clients you meet unless you can present a Clear Sales Message. As humans, we are all seeking certainty and for definitive solutions to the problems we face. 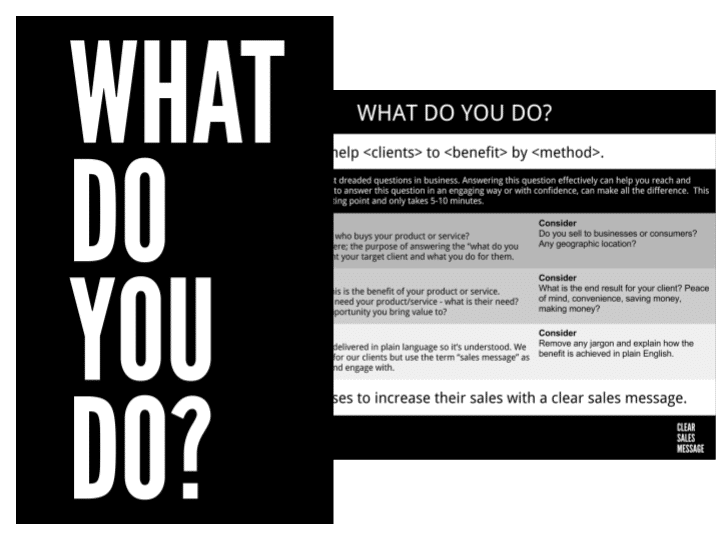 Those who can’t clearly communicate what they do, why it matters and to do so in a confident way run the risk of eroding the confidence of potential clients. Potential clients may simply not be clear on what you do and how you could help them- a confused prospect seldom becomes a client. Rambling, poor, forgettable explanations of businesses are all too common than should be the case. A lack of clarity, confidence or understanding leads to lack of connection with your prospect. If they don’t understand it, they can’t buy it. You could have the greatest product or service in the world but if you can’t explain what it does and why it’s needed in an engaging way then your prospects may never buy simply because they don’t “get it”. 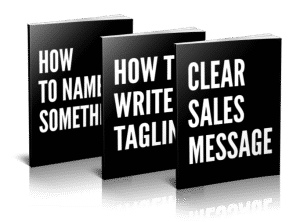 Without a Clear Sales Message you may be unknowingly costing yourself sales and potential opportunities. 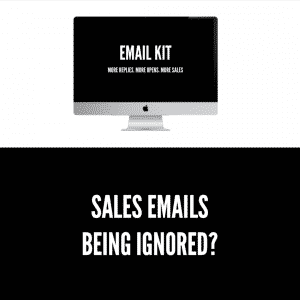 But how do you know if you have a poor sales message? There are warning signs to look for and a simple free checklist we offer to see if your current efforts are working.